A panel of security and budget experts believe the US Navy could be forced to make hard choices when it comes to finding the money to replace its aging ballistic missile submarines or reach its goal of having a fleet of 355 warships, reports USNI News. “There is not enough money” for both, and “priorities need to be taken,” said Frank Rose, a senior fellow at the Brookings Institution and former assistant secretary of state for arms control. An audit by the Government Accountability Office has found that chronic and persistent maintenance delays continue to dog the Navy’s fleet of 51 attack submarines, costing taxpayers $1.5 billion for boats that sat idle, report Navy Times. A military exercise between the US and South Korea will go ahead next year — but in a scaled-down form, in order to not interfere with ongoing political negotiations with North Korea, reports Military Times. A USS Ronald Reagan has docked in Hong Kong, days after a pair of American B-52 bombers flew over the disputed South China Sea, reports Navy Times. 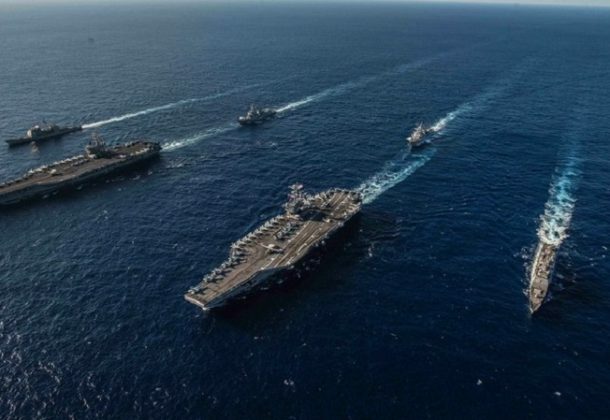 The arrival of the aircraft carrier and its strike group is being seen as a friendly gesture ahead of a planned meeting later this month between President Donald Trump and Chinese leader Xi Jinping. Problems escalated at the US-Mexican border over the weekend. US authorities closed off the busiest port of entry along the border and fired tear gas at members of the migrant caravan who had rushed the fencing that separates the countries, reports The Washington Post. Congress is returning to Washington with a deadline to pass seven spending bills and avert a partial government shutdown over President Trump’s demand that lawmakers fund the wall on the Mexican border, reports The Hill. The partial shutdown will take place Dec. 7 if Congress does not pass legislation, creating the last chance for Trump to win wall funding before Democrats take over the House majority in January. Lockheed Martin has delivered classified transportable cabins to support the Royal Australian Air Force’s F-35A aircraft, reports Air Force Technology. The next-generation Deployable Duty Facility spaces have been built to operate information and communication technology systems for the F-35A fleet. Ukrainian lawmakers were set to vote on whether to implement martial law after Russia seized three Ukrainian navy ships in a key waterway that holds strategic importance for both countries, reports CNN. Czech Republic officials have announced that country’s military acquisition plans for 2019. Next year, the country aims to purchase 210 infantry fighting vehicles, multi-purpose helicopters, and mobile air defense radars, among other systems, reports Defense News. Belarus and Kazakhstan say they will produce unmanned aerial vehicles together, Belarus News reports. The announcement came during a session of the Belarus-Kazakhstan intergovernmental commission on trade and economic cooperation Monday. Vice Chief of Naval Operations ADM Bill Moran said the Navy’s flag officers need to take a break, reports USNI News. Earlier in the fall, flag officers were told they were expected to take 10 consecutive days of leave each year. As of the start of fiscal 2019, the Navy had 214 active duty flag officers. The F-22 Raptors, evacuated days before Hurricane Michael tore through Tyndall Air Force Base in Florida, returned to Florida last week, reports Air Force Times. Air Force Secretary Heather Wilson said the Raptors arrived at nearby Eglin Air Force Base to begin F-22 schoolhouse operations. The Marine Corps’ Raiders are looking to buy small commercial cellphone and GPS jammers that can knock out cellphones, GPS, and the Russian navigation system known as GLONASS, reports Marine Corps Times, to help prepare its special operators for the future battlefield. Qwest Government Solutions Inc., doing business as CenturyLink QGS, Herndon, Virginia, was awarded a non-competitive firm-fixed-price, indefinite-delivery/indefinite -quantity contract for a five-year period of performance for the continued operations and maintenance support for dark fiber and commercial facilities in the continental US (CONUS) to support the Department of Defense. The guaranteed minimum amount is $1,000 and will be satisfied through task orders issued during the base year. The total amount of all orders placed against the contract shall not exceed $126,895,698. Performance will be at various locations within CONUS. The solicitation was issued on the basis of other than full and open competition pursuant to 10 US Code 2304(c)(1), only one responsible source and no other type of supplies or services would satisfy agency requirements. The period of performance of this contract is Nov. 30, 2018, through Nov. 29, 2023. The Defense Information Technology Contracting Organization, Scott Air Force Base, Illinois, is the contracting activity (HC1013-19-D-0002). Federal Resources Supply Co., Stevensville, Maryland, was awarded a $19,569,771 firm-fixed-price contract for refilling of fire suppression bottles and systems. Bids were solicited via the internet with one received. Work locations and funding will be determined with each order, with an estimated completion date of Nov. 26, 2023. US Army Contracting Command, Warren, Michigan, is the contracting activity (W56HZV-19-D-0017). BAE Systems Technology Solutions and Services Inc., Rockville, Maryland, is awarded a $13,903,935 firm-fixed-price contract for the operation and maintenance of Navy communication, electronic, and computer systems. The contract will include a 12-month base period and four 12-month option periods which if exercised, the total value of this contract will be $79,829,608. Work will be performed in Oahu, Hawaii (94 percent); and Geraldton, Australia (6 percent). Work is expected to be completed by November 2019; if all options are exercised, work will be completed by November 2023. Fiscal 2019 operations and maintenance (Navy) funds in the amount of $3,925,630 will be obligated at the time of award and funds will expire at the end of the current fiscal year. This contract was solicited on a full and open, unrestricted basis with two offers received. 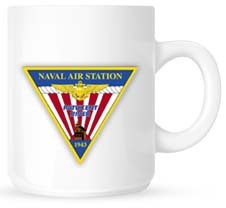 Naval Supply Systems Command Fleet Logistics Center Pearl Harbor, Regional Contracting Department, Pearl Harbor, Hawaii, is the contracting activity (N00604-19-C-4001).